MANILA – Filipinos can now call a doctor and have medicine delivered with just a few taps on their mobile device, as tech startups meet demand to move health services in the country. For a minimum P1,500 fee, patients can book home consultations with doctors using AIDE, the first of its kind in the Philippines, said its co-founder and managing director, Paolo Bugayong. “It’s like an Uber for doctors,” said Bugayong during an event for startups hosted by the Information Technology and Business Process Association of the Philippines. “With AIDE, instead of going to the ER, just tap our network of doctors and we could provide the proper care at the fraction of the cost right at their doorstep,” he said. Aside from doctors, AIDE can be used to call a range of medical professionals including nurses and veterinarians, he said. Employers can bundle the app with their health care plans. The service is available nationwide, but the 60-minute doctor on call guarantee is only applicable in Quezon City, he said. Another web-based service, MedGrocer, delivers medicines, vaccines and clinic supplies to 50,000 customers, according to its CEO, Jerome Uy. Seed-funded by Ayala Healthcare, MedGrocer seeks to make ordering drugs as easy as pizza delivery, Uy said. “Our platform, by going online, allows us to eliminate the inefficiencies of bricks and mortar drugstores,” he said. MedGrocer has no minimum order requirement, but next day deliveries cost P45 in Metro Manila and P180 in the provinces. It accepts cash-on-delivery, he said. Some medicines are cheaper when ordered through the app. For example, Zykast, a drug for allergic rhinitis costs P30.35 in MedGrocer while it sells for P31.50 in the country’s most popular drug store. It also uses analytics to help companies save on expenses by tracking how their inventories move. 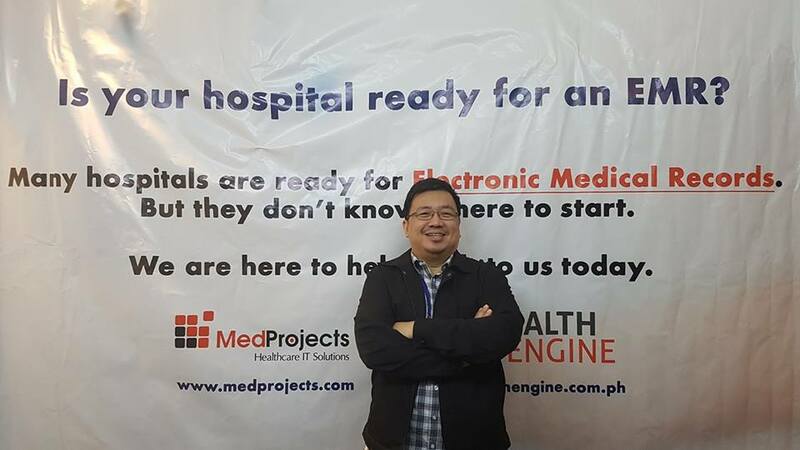 MedProjects, which launched last year, hopes to create an electronic database of patients’ records to make it easier for both doctors and patients, said its CEO, Mike Muin. “We aggregate all the data and we built a clinical data repository that becomes the single source of clinical truth in the hospitals,” Muin said. Using systems acquired from abroad, converting paper hospital records to digital could cost as much as $ 1 million, but with MedProjects, it could be brought down to P5 to P10 million, said Muin.